ARE ALL ABOUT THE OUTDOORS! 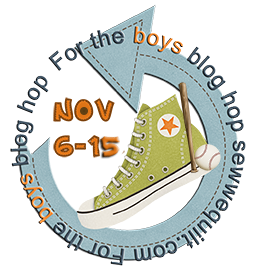 FOR MAKING OUR BLOG HOP *FOR THE BOYS* POSSIBLE! You sure have been busy and these pillowcases look great. I'm excited to hear so many people trying to go "homemade" for Christmas this year. I'm trying too and think pillowcases will fit the bill for a number of my gifts. Thanks for sharing your creations with us today. Love those camo pillowcases! Homemade is the best present. Thank you for sharing. Love these pillowcases...they are all fantastic. 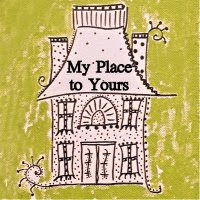 I love homemade pillowcases, so many fun fabrics to chose from. Oh and love duck dynasty too LOL What a great sale on the camo fabric...how could you not buy it"
Fun! I made matching bathrobes for my guys last year using the same fleece! A super 'for the boys' gift - camo and fleece! Great fabrics to make some wonderful gifts. Ha, ha! Duck Dynasty is on t.v. as I was reading your post! Great camo pillow cases. They look so snuggly soft! Great job on the pillows Jane. 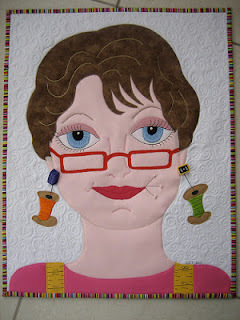 Goodness you are going to be busy sewing! Great idea, and they look very cozy! Perfect for a Duck Dynasty marathon ! Love um Jane ! Great pillow cases! Have to make hubby some now! I love your pillow cases. What a great idea. I made some a few years back but didn't think of it "For the Boys". I think I better get some fabric out and make 2 for my boys. Thank you for sharing. How perfect! Those pillowcases look so comfy, too! They should be loved! Your fabrics are perfect for little boys. Looks like you're going to have some fun! Great pillowcases! My boys would love them too! Great pillowcases! Love the fabric choices! Well, we know who is going to be the favorite Christmas gift giver this year! :-) Love your duck dynasty pillowcases, and have the hunter who would too. Darn and that great sale is over. What great gifts for Christmas! I love all of the beautiful fabrics you purchased--they will be perfect. Love all those pillow cases! My grandson would love that Thomas Train. He has loves trains and Thomas since he was old born! You have some great projects here for the boys in your life! Not only are you busy stitching for Christmas already but your have enough fabric there to KEEP busy sewing for the holiday. The fleece camo will be perfect if they are into Duck Dynasty as you indicate. Great projects Gmama Jane. That camo is definitely popular with the boys. I am loving the pillows, Grandma Jane. My grandsons love camo, too, so I know they would like these. Thank you for sharing. You ARE the pillowcase queen. They are so neat. Particularly like the camo fabric. It almost looks like flannel. I guess you are ready for the holidays now. I have a grandson that would go bonkers over those camouflage pillows...very cool! wow! You sure were busy! and wahhh! I missed that sale! What a great idea-a handmade Christmas. You really scored on that fabric. Thomas the Train is a favorite of my youngest grand daughter. Those camo pillows look so soft and cozy too. I've been waiting for a little Duck Dynasty style. Great pillow cases. Too much fun for the boys. Very adorable pillow cases. Love all that fabric you got I am envious. Great boys projects, well done! They are just great and I'm confident they will be well loved. And boy did you get some great deals there. Have fun with all that fabric goodness. Pillowcases make great gifts!!! You have some gorgeous fabrics there.